Fairfield Prep against Amity High School during a baseball game played at Fairfield Prep, Fairfield, CT. Monday, April 9, 2018. FAIRFIELD — If this had been a road game, it would not have been at all surprising if Will Lucas had climbed aboard the Fairfield Prep bus, grabbed the keys from the driver and taken the Jesuits home. Because the senior did everything else but drive the bus after Prep’s comeback victory on Monday. Lucas went 3 for 5, driving in the tying runs in the fifth and the winning run in the bottom of the eighth while also pitching three shutout innings of relief to earn the victory in Prep’s 6-5 win over SCC rival Amity at Alumni Diamond. Over the course of Prep’s opening four games, it has been Lucas that has been the star of the Jesuits’ show. He pitched two innings of scoreless relief to get the victory in the season-opening win over Danbury, also going 2 for 3 with two runs scored and two stolen bases. He had a hit, an RBI, a run scored and a stolen base against Regis (N.Y) and allowed just one hit with five strikeouts, scoring a run and stealing another base in a victory over Greenwich. The win continued the Jesuits fast start, now 4-0. Amity, the Class LL runner-up last season after winning four straight state titles, dropped to 1-2. A single from Amity’s Pat Winkle — a UConn commit who had 15 major league scouts in attendance Monday — another single from Jack Balocca, two walks and an error gave Amity two runs in the top of the first. The Spartans lead jumped to 5-0 in the second when John Nolan hammered a two-run single and Balocca added an RBI single off Prep starter Connor Bennett. Prep, however, answered with a run in the second and two more in the third on a triple by Matt Browne to make it 5-3. In the fifth, it was Lucas with a two-run single to tie matters at 5-5. In the eighth, Joe Mancini opened with a double off reliver Will Rotko and Lucas followed with a single to left to plate Mancini with the winning run. Especially the bullpen. Pupura, Mancini and Lucas combined to allow just three hits and no runs in 6 2/3 innings with eight strikeouts. 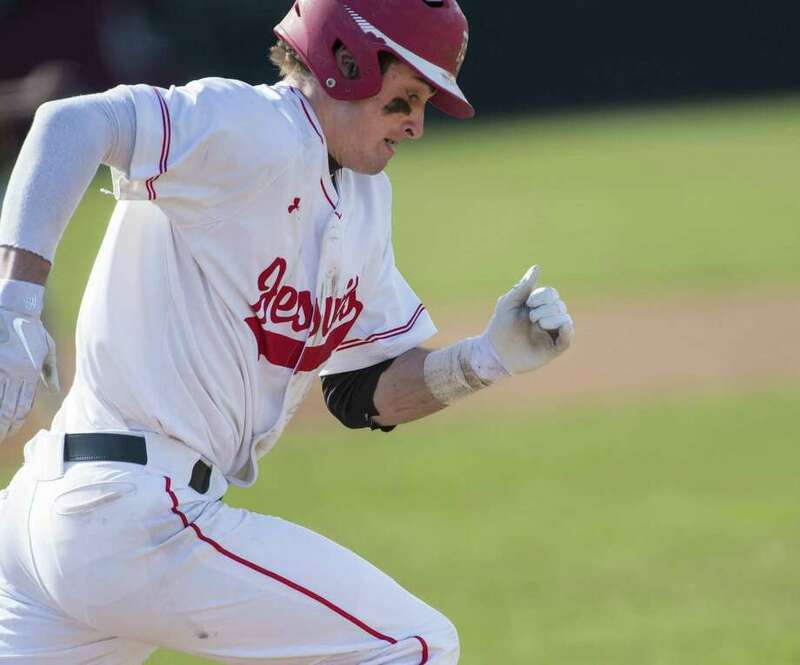 OK, so he didn’t drive the bus home … but Prep’s Will Lucas was terrific, going 3 of 5 with three RBI, including the game-winning hit in the bottom of the eighth. He also threw three innings of one-hit scoreless relief. Impressive. Most impressive. The regular season victory was a rare one for Prep against the Spartans. Amity had won five straight games against the Jesuits dating back to the 2015 season.